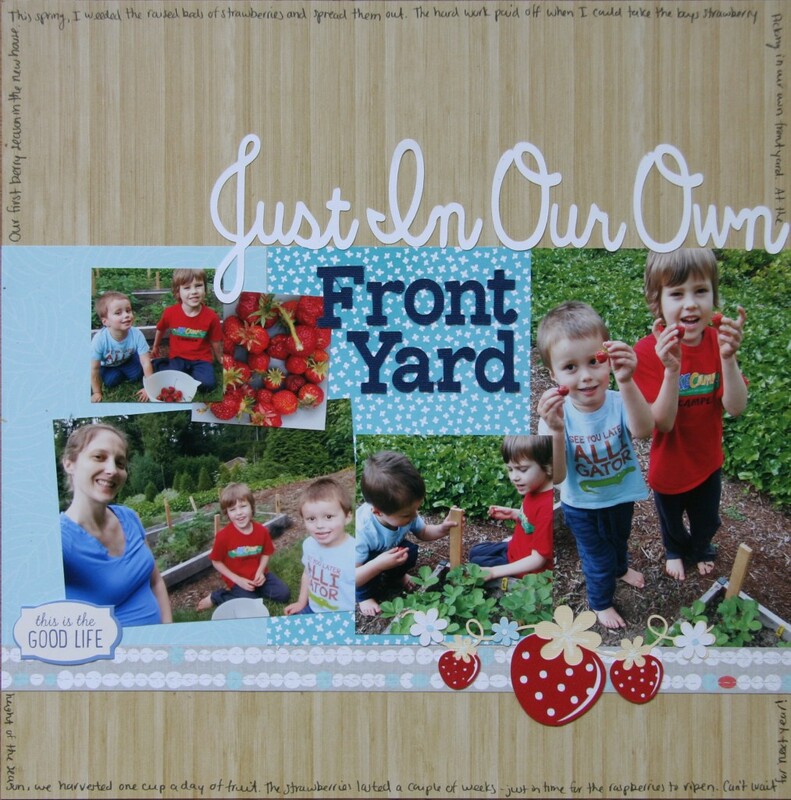 Please stop by and see all of the amazing projects in July’s CREATE Magazine HERE! We got a summer themed color challenge for the July CREATE magazine. Red, 3 shades of blue, tan, and white. I don’t usually get very many photos for the fourth of July but the red made me think of berries! 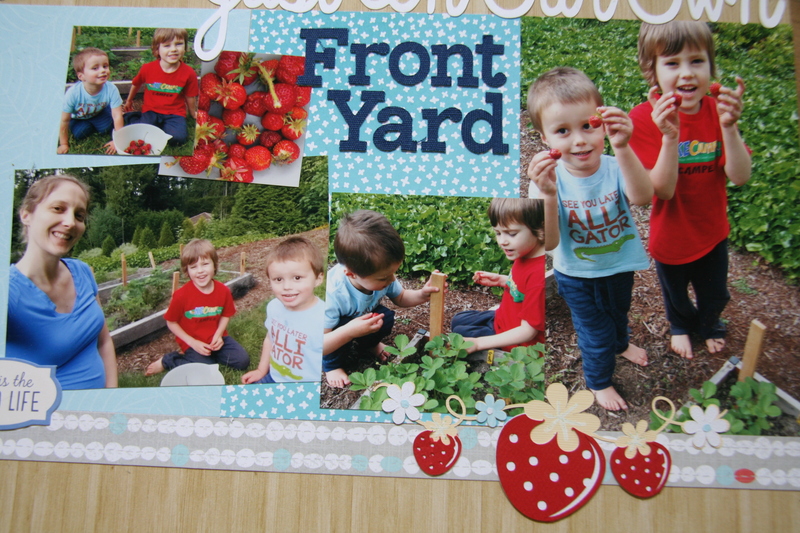 These are pictures of us picking strawberries in our front yard. What a treat!